In addition to our portrait services and photo shoots, we also sell photography Gift Vouchers for those who would like to purchase our portrait services on behalf of someone else. These make perfect and unique present ideas for family and friends who have a young family. Purchasing a voucher means that you can provide them with a gift that will last a lifetime - a precious documentation of their little family. Everyone knows that children grow up so fast and that they don't stay young for long. Family periodic photographs help us to capture them in their development and help remind us of their path as they grow up. Many families toy with having a professional portrait shoot, but never quite get around to it for one reason or another, and then often look back over time with a hint of regret that they didn't. So, why not give a perfect gift for someone that you love, and give them an opportunity to record their little family in all their glory. 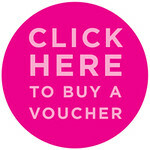 Which Voucher Should You Choose? 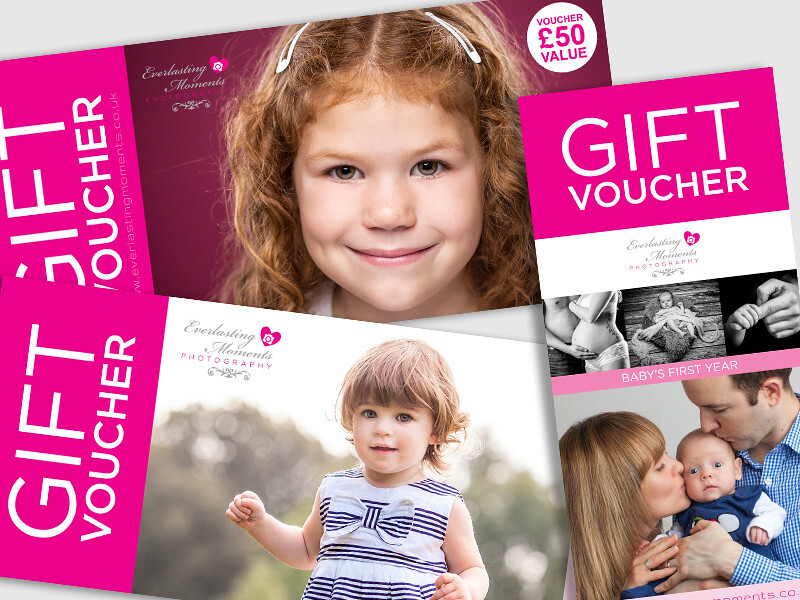 We have three different types of vouchers for you to choose from, depending on your budget and what type of shoot you would like to offer your recipient. These vouchers are for specific values of money for the recipient to use towards both a photo shoot and resulting imagery of their choice. For example, photo shoot sessions start at £30, so a £75 would cover that and leave £45 to be used for purchasing images. These allow the recipient to decide on what type of shoot they require, in terms of location and time length, whereas the other two vouchers below relate to specific types. This voucher specifically created for up to an hour's weekday studio photo shoot , and also includes one 7"x5" print of the recipient's choice. Price for this voucher is £75. This voucher is a great option for someone that is expecting a baby. It gives them a choice of selecting 2 photo shoots from a possible three stages of baby's first year, plus a £25 discount on the option of adding a newborn shoot. This voucher is ideal for capturing baby at different stages in their first year, as they grow and change so much - it's a brilliant opportunity for parents to document those cute stages. Price for this voucher is £125. How to Purchase your Voucher? You can register your interest to purchase a voucher by visiting the following link and completing an online form here. Once we have received your information, we will then send you an invoice to purchase the voucher. Following on from all payments, we shall then send out your voucher(s) via first class post. Following on from all payments, we shall then send out your voucher(s) via first class post.